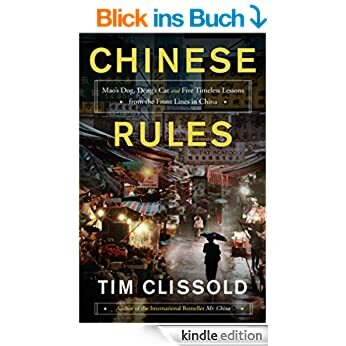 Tim Clissold is an English guy who happened to go to China just when China was opening up to the Western world in the early 1990s. His first book “Mr. China” tells the story how he tried to set up and invest a 400 mn USD private equity fund in China together with an US Wall Street veteran. This was clearly not an easy task. When, after visiting 100 or more companies, he finally found some to invest in, the real problems only began. Ownership rights in China are quite flexible and in his book there are a couple of in-detail stories what can go wrong in China. As a short summary I would say that actually almost everything can go wrong in China for a foreign investor. Contracts are worth nothing and more than once a manager disappeared with most of the money. In other cases, the old owner just built a new factory next to the old one and all the workers left for the new factory and so on and so on. An interesting details was the importance of company seals (“chops”). Those company seals are much more important than anything and the one who has those seals in possession can do anything. It might be a severe case of confirmation bias but after reading this book I felt fully vindicated for not even considering to invest in any German or US listed Chinese companies (and yes, this includes Alibaba, Baidu etc.). If you can’t even control what’s happening when you are in the country how should you have any chance if you are only invested via several questionable legal constructs. Clissold makes it especially clear that Chinese thinking is entirely different from western thinking when it comes to business and rules that we take for granted just do not apply or even exist in China. 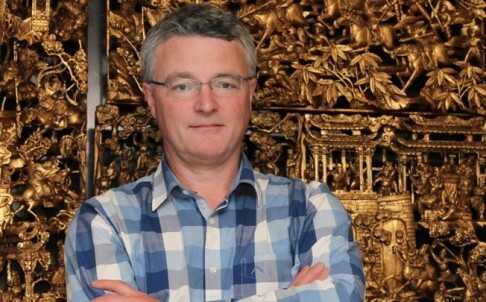 The second book is a more focused story on his second attempt in China, where he was called in to solve a difficult situation with regard to a big Carbon credit project and then started out to set up his own Carbon Credit investment fund in the mid 2000s. Of course he encountered the same problems as in the first try but he tried to counter them with more typical Chinese tactics which seemed to have worked better. In the end this project didn’t work either as the price of Carbon credits collapsed during and after the financial crisis. The second book also includes more historical and philosophical background on China which makes it a “deeper” read than the first one. Overall I can recommend both books to anyone who is interested in China in general and investing or working in China specifically. Although they are a lot of “How China thinks” books out there, this is one of the few with really first hand experience. And the books are quite well written, too. true esp. for PE types. But China is quite big and there’s many perspectives. trust level is relatively low in China. There’s native/international companies with good management and brand, as well as people’s trust.